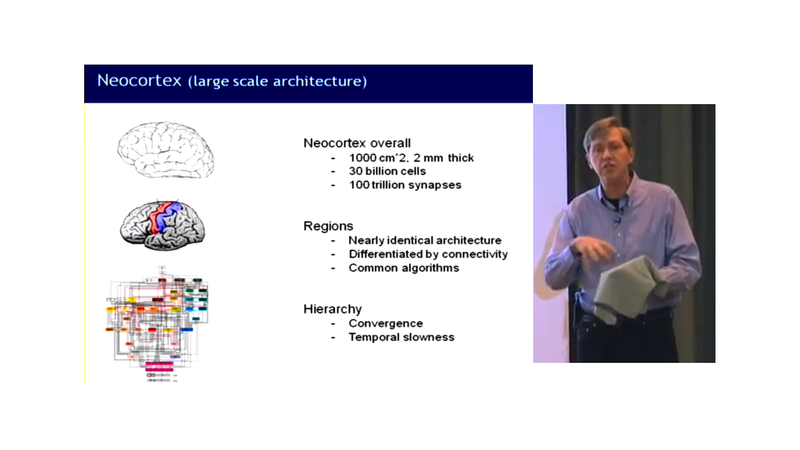 In a set of four lectures spanning about 3 years, Jeff Hawkins explains how & why big data can only be solved by evolutionary-adaptive-continuously-learning models incorporating principles from the working of Neocortex. It does make sense – especially for NLP, NLU & Knowledge Representation. I am a big fan of the Borgs and their coordinated intelligence. Let me begin at the beginning. 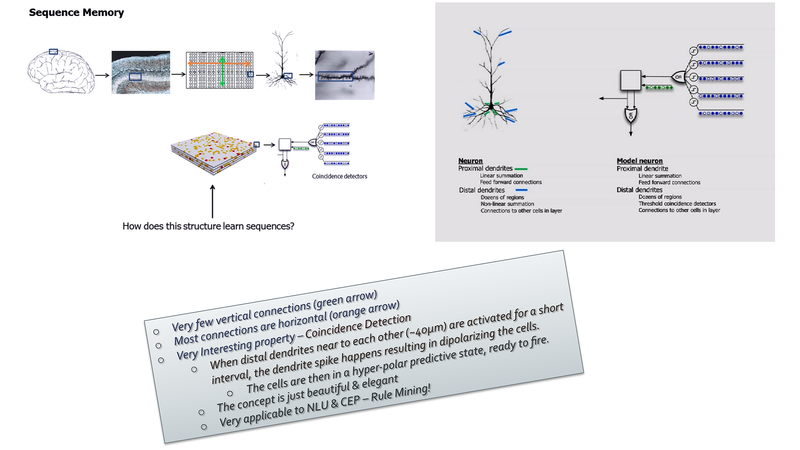 The other day I came across 4 very interesting talks by Jeff Hawkins on Biological Inspired Machine intelligence. For example movie names, while very easy for humans to understand, a MaxEnt NER finds it very hard. Knowledge Representation & Association is more harder ! The four talks have lot of depth and are packed. Moreover Jeff talks very fast – I listened to the talks a few times – at least 3 hrs per one hour talk. You should listen to them slowly & rewind as reqd. It takes a few hours to get one’s head around the various ideas. 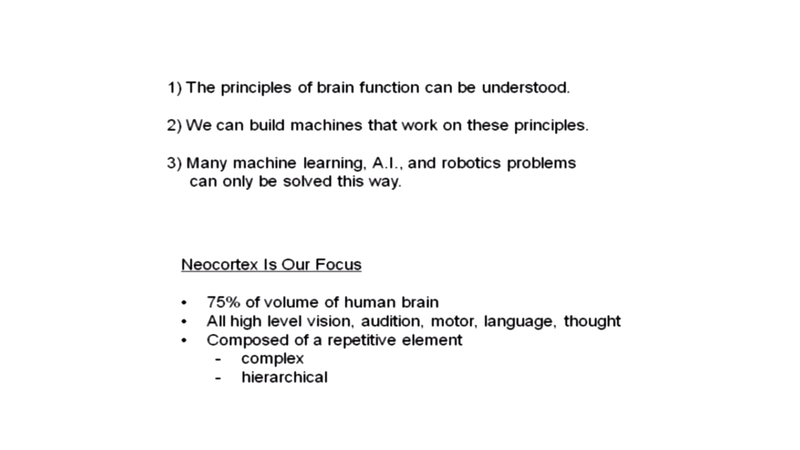 The assertion, that many problems can only be solved by incorporating principles from the working on Neocortex, is interesting. BTW, it does make sense – especially for NLU & Knowledge Representation. As Jeff mentions later, the behavior need not be human-like, but the representation, interpretation & “understanding” would be. “Neocortex is just a sheet of cells 2mm thick, the size of a dinner napkin” – Amazing what it can do! 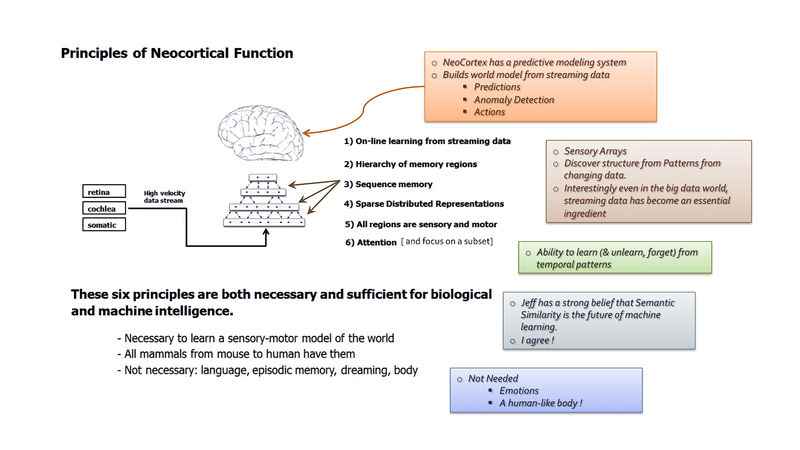 The paper “Hierarchical Temporal memory” has the gory details about the Hierarchical Temporal Learning. Interesting observation: Emotion, the fundamental aspect of being human, is not a requirement for intelligence – reminds us of Spock, of course. 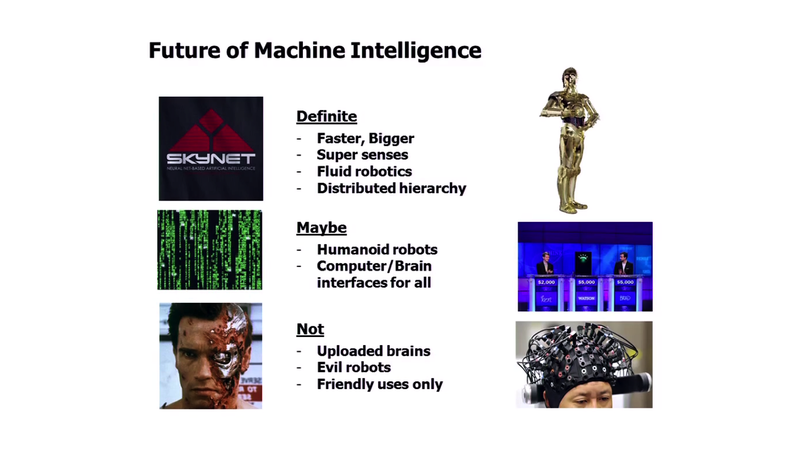 Machine intelligence is not about replicating human behavior or even passing the turing test. I agree on this – we need the machines to think & do things we cannot do thus augmenting us. Make us stronger where we are weak ! Agree that the Sparse Distributed Representation could be the language of all the intelligent machines. The planes can be considered as rows and a column as the temporal dimension of the semantic mapping (the memory of sequences). Which equates to a giant n-dimensional Bloom Filer – a data structure we can grok (Pun intended as Jeff’s product is called Grok!). The bloom filter analogy, while extremely simplistic, is conceptually congruent, in the sense that “similar values have similar representation”, of course depending on the hash algorithm. After listening to the talks and thinking them over, I have a thousand questions in many directions. I will post the answers as we develop this through for our needs. Please send in your insights as comments to this blog. AM sure it will help a few folks ! How do we handle semantic categories ? 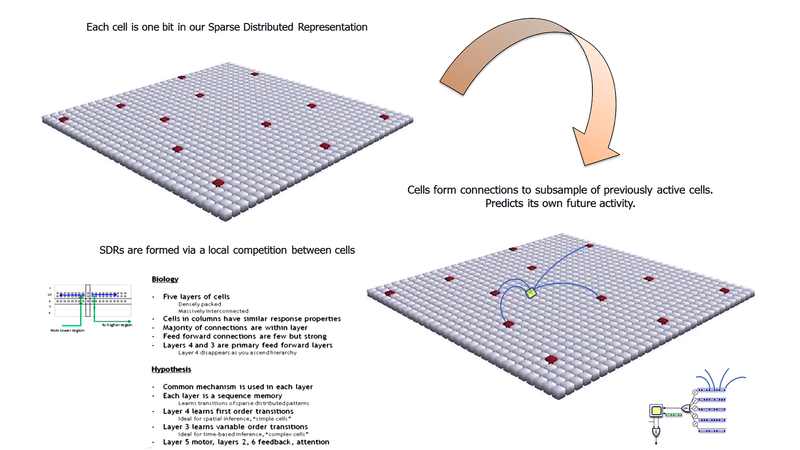 How do we build more sophisticated representations based on spatial patterns ? What is the hash function that maps a slice of semantic to this giant Bloom Filter ? How does it handle collision? Corruption ? Clustering for resiliency/self adjusting representation ? How does the semantic slice mapping function differentiate between a search & computation to trigger appropriate actions? “What is stock price of IBM ?” vs.
Is the hash function same for all of us or is it different for each person ? Most probably the function is a learned artifact. 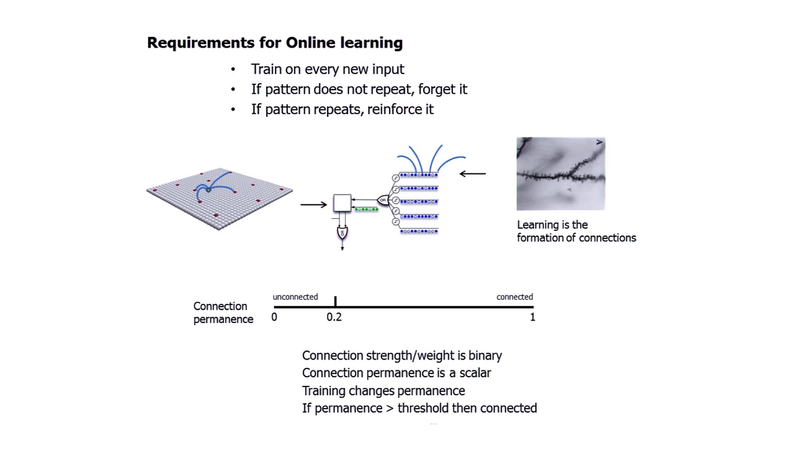 Another interesting vector is the Hierarchy & higher patterns of temporal coalescence/slowness – the high-order capability, tweaking the learning rates across the layers. How can this be modeled with the analytical data structures we have? And what are the mechanics for stable representation of pattern sequences – because with dynamicity and temporality comes the difficulty of snapshots and consistency between them. How do we “put a classifier on the top” ? 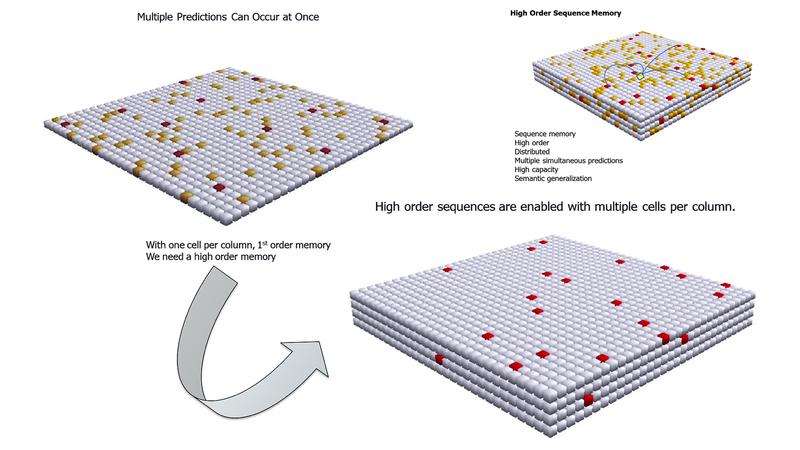 What are the algorithms to prevent run away prediction? 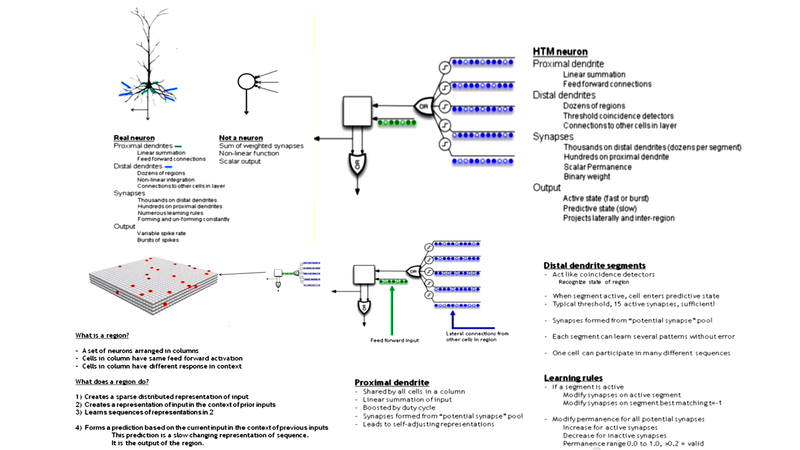 Finally, can we build “Amazingly Intelligent Machines™?” Yes We can !